Discussion in 'Astronomy, Exobiology, & Cosmology' started by paddoboy, Nov 15, 2017. A team working with ESO's High Accuracy Radial velocity Planet Searcher (HARPS) at the La Silla Observatory in Chile has found that the red dwarf star Ross 128 is orbited by a low-mass exoplanet every 9.9 days. 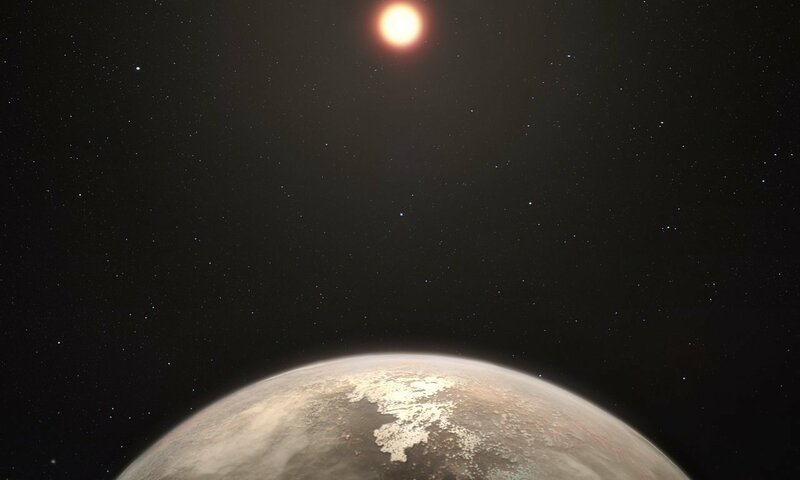 This Earth-sized world is expected to be temperate, with a surface temperature that may also be close to that of the Earth. Ross 128 is the "quietest" nearby star to host such a temperate exoplanet. A temperate exo-Earth around a quiet M dwarf at 3.4 parsecs?